My good sir, I believe that you're wrong. 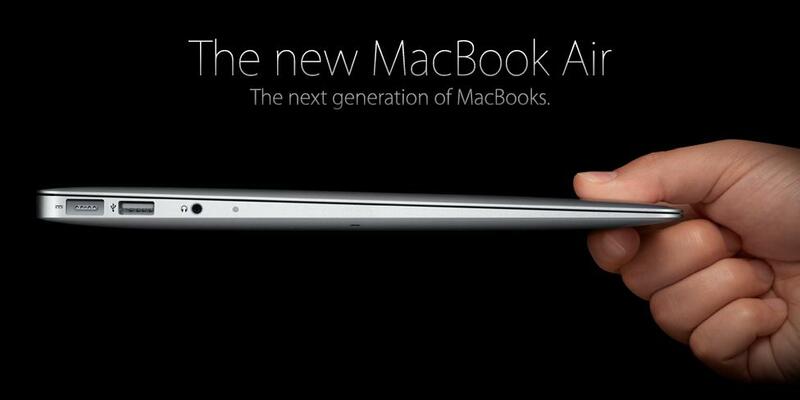 There IS built-in wifi in the Macbook air. I meant to say the MacBook Air needs to have built-in 3G capabilities. I have made the correction. Thanks for pointing that out! In your foreseeable set-up, you list "Buy a Mac Mini to replace my desktop". I'm curious why you wouldn't connect your MacBook (Air) to a larger monitor for home use? I think an external keyboard and mouse (or Trackpad) could also be set up for your desk with your MacBook withount needing a Mini. I was also considering the same set-up you described (except was considering iMac instead of Mini), but thought it would be better with the set-up I just described for home (external monitor, keyboard, mouse). I thought this way, I'd have the same files and programs on the same system both home and away. I was also considering the Cinema display for easy connectivity. Can you (or anyone) let me know which option would be better for home use and why? 1) MacBook (Pro or Air) with Mac Mini (or iMac). 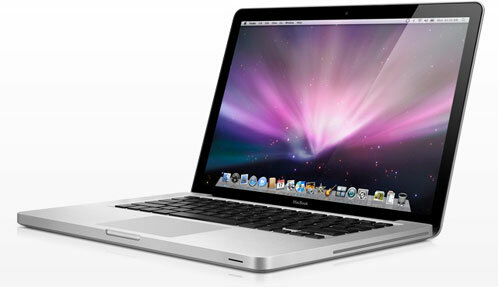 2) MacBook (Pro or Air) with Cinema Display, external keyboard and Trackpad (or mouse). I'm partial to using a desktop simultaneously with a laptop because there are many times when I'm doing multiple tasks. It's not that a single computer can't perform everything, but it just makes it easier. Currently, I do connect my MacBook to my monitor, but I've never been a big fan of using a laptop like that. Not sure why! Also, I tend to use Windows 7 and OSX, so having a desktop with Windows and my MacBook with OSX allows me to use both at the same time (without having to use Parallels). The reason I chose Mac Mini as opposed to iMac was simply because I put a 42" LCD HD tv on my desktop to double as my tv and desktop monitor. I didn't want to spend thousands of dollars for an iMac when I already have a great (and larger) monitor. I'm glad you brought up Cinema display…I actually love this concept–the ability to increase your monitor size while providing easy hookups for your MacBook. That one cable allows you to charge your MacBook, have 3 powered-USB ports and display your MacBook screen. Plus, the monitor has a built-in iSight camera. The problem with this is the price. If you bought the current 27" display, it'll run you about $999. I was able to get a Sony 42" LCD HD tv for $500 and I can still use it for my Blu-ray, Xbox and FiOS tv…so for my application, it was the better choice. I know there's no comparison between LED and LCD, but with prices coming down on tvs all over the place, you can't go wrong. Just get a mini display to HDMI connector and your MacBook is instantly on your tv. So, to wrap this up, I vote for option 1. Thank you very much for your quick and detailed response. I really appriciate your time and help both in your response and in your original article. This blog speaks my mind. 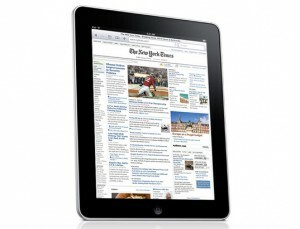 I owned an iPad for 5 months which I finally gave away because of severe limitations on the software/OS side. It cannot replace your laptop and your iphone already provides other features that one would need from a Personal Data Assistant (calendar / ToDo / Music / blah blah). A desktop like Mac Mini + MacBook Air seems to be the perfect answer under given plethora of devices in the market. But you do (or will) have this capability with your iPhone's Personal Hotspot feature. This is currently enabled with the Verizon iPhone and will be soon with the AT&T iPhone. Of course, you'll have to pay the extra monthly fee for this, but then you would have to do the same if the 3G/4G connectivity were built in to the MBA. True, but if the data plans for the MBA stayed similar to those of the iPad, then the price would only max out at $20 per month whereas the tethering plans for the iPhone cost around $40-45–both with the same data caps. This article is a lot like the situation I am in. I have a Verizon iPhone, iPad 3G, HP Desktop, and Sony Vaio laptop. The Vaio already broke and the iPad is not furfilling my mobile computing needs. The lack of Flash support and a physical keyboard are the biggest limitations. Even if I got a iPad keyboard case, I would have to touch the scrern to do things which would be awkward. I think I want to sell my iPad, desktop, and try to get money for recyceling the Vaio. I am short on cash so I have make up some money. 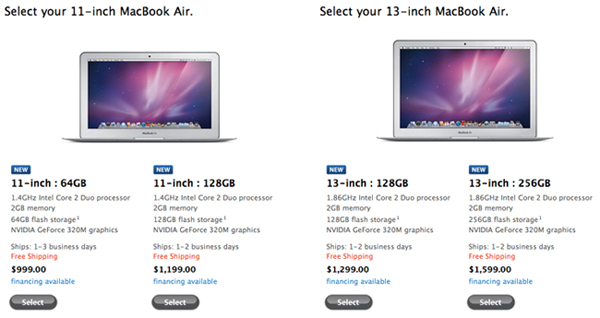 I am trying to decide between a MacBook Air or the MacBook Pro. I am leaning toward the pro but I’m not sure. I would like to hear your opinion. Thanks. I’m leaning more toward the MacBook Pro for you. The only reason why I was leaning toward the Air for myself is simply because I already own a MacBook and I want something smaller for when I travel, but more functional than the iPad. helps. I do like the CD drive on the Pro. I don’t really know what to buy. Tell me what you think is better for gaming. Also, I don’t want a 15 or 17 inch because they’re too bulky to bring around. If you have a main laptop that ipad 2 is fine to get if this machine will be your only computer go with macbook air.